It is that wonderful time of year again. Each year we host our annual Night at The Rep fundraiser which includes a play, heavy hors d'oeuvres by Flavour's, and a silent auction. This years event with take place on October 21st at 6 PM. 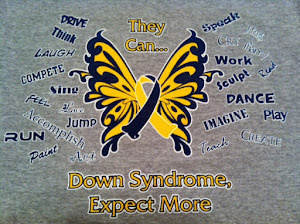 Proceeds will allow us to provide scholarships for families who have children with Down syndrome. These scholarships will help pay for a special neurodevelopemental program. 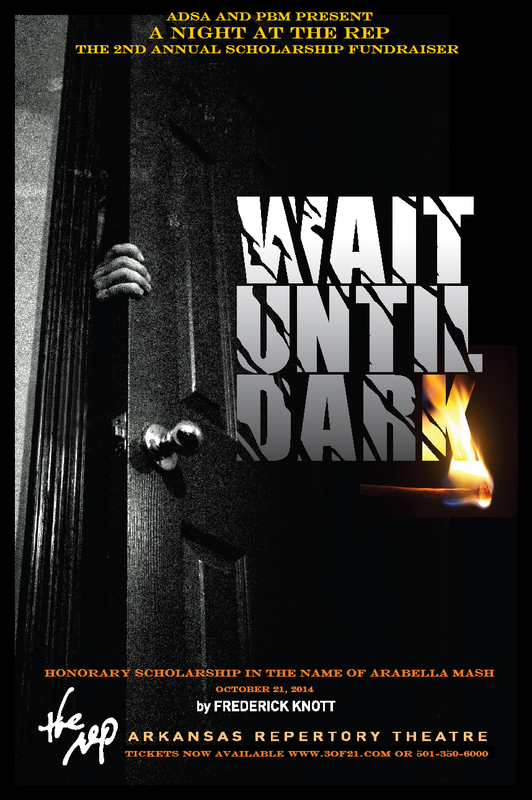 This years play will be Wait Until Dark. Just in time for Halloween, a masterfully constructed thrill will take Rep audiences from one moment of suspense to another toward an electrifying, breath-stopping finale in Wait Until Dark by Frederick Knott. Knott's play inspired the 1967 Hollywood film of the same name, with both the play and film garnering multiple Tony, Golden Globe and Academy Award nominations for many of the actors involved-including film's star, Audrey Hepburn. The film also ranked tenth on Bravo's "100 Scariest Moments." A sinister con man and two ex-convicts are about to meet their match. They have traced the location of a mysterious doll to the Greenwich Village apartment of Sam Hendrix and his wife, Susy. With murder afoot, a deadly game of cat and mouse ensues, as Susy discovers the only way to play fair is to play by her rules. This year we have an honorary scholarship in the name of Arabella Mash. Arabella earned her angel wings in early January of this year. Her short life touched so many people and her spirit stays strong in our community. Tickets are now available online or by mail. You may mail payment to ADSA c/o Tricia Ambeau 2814 Hwy 321 E Austin AR 72007 or pay online by clicking the donate button under Night at The Rep in the upper right hand corner of this page. Please include your address if you prefer tickets mailed to you prior to play. If not specified, tickets will be held at our Will Call desk and available for pickup the night of the play. Ticket price in $40.00 and must be purchased in advance. Thank you very much for you support. What is the America the Beautiful - the National Parks and Federal Recreational Lands Pass or "Interagency" Pass Program? A suite of annual and lifetime passes that provides U.S. citizens and visitors an affordable and convenient way to access Federal recreation lands. Up to 100% of the Pass program's proceeds are used to improve and enhance visitor recreation services. What passes and materials are included in the program? Annual Decals (for open-top vehicles to display at areas without entrance booth staff). What are the passes good for? 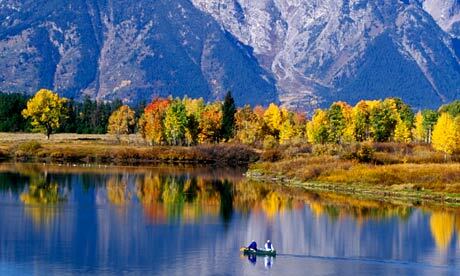 The passes provide entrance or access to more than 2,000 Federal recreation sites. Where can I use my pass? Where can I get a pass? Passes may be obtained at hundreds of locations throughout the country, including many Federal sites where they are accepted. See Site Locations that issue the Interagency Passes. PLEASE be sure to call a site and verify they are still issuing the passes BEFORE you make a special trip to obtain a pass. Senior and Access Passes may also be obtained via mail order from USGS. Mail-order applicants for the Senior Pass must submit a completed application, proof of residency and age, the $20.00 fee ($10.00 for the Senior Pass, and an additional document processing fee of $10) to obtain a pass through the mail. Mail-order applicants for the Access Pass must submit a completed application, proof of residency and documentation of permanent disability, and pay the document processing fee of $10 to obtain a pass through the mail. Once the application package is received, whether for Senior or Access Pass, the documentation will be verified and a pass, with the pass owner's name pre-printed on it, will be issued to the applicant. More about Access Pass and how to obtain.